I have a profound and unique statement. 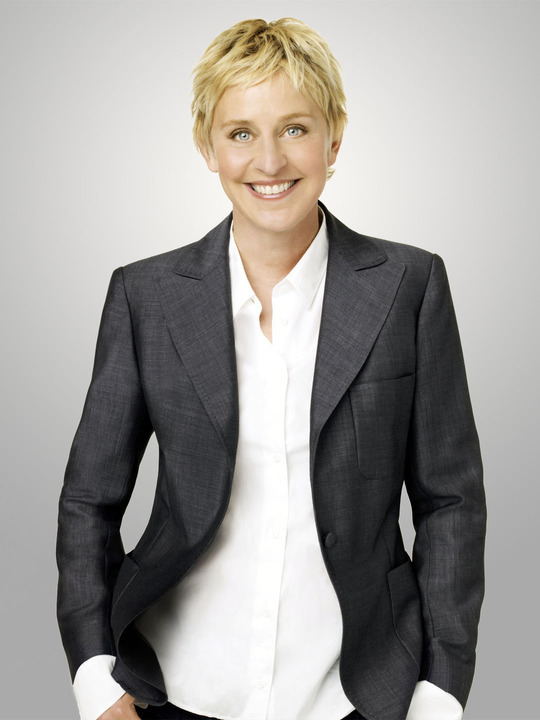 I really like Ellen DeGeneres. I remember watching one of her first stand up specials where she did a bit about tripping over your own two feet and then turning around and looking at the ground like there was something there. Not only could I relate to that (I have been known to trip a lot when I walk), but she has that funny because it’s true humor that I like so much. It pretty much goes without saying that I watch Ellen everyday. My favorite parts of the show are when she starts laughing about something absolutely ridiculous from one of her segments like Glam Girl, Clumsy Thumbsy or What’s Wrong With These Photos, Photos? Last week Ellen announced that Johnny Depp was going to be on the show. I immediately got on the website to see if there were open tickets. There were none. I don’t know how many times I have tried to get tickets to the show, but I think I have sent in 4 requests this season. I always try to follow the rules of ticket requests for fear of getting blacklisted for asking for tickets too many times. I think you have to wait 2 weeks in between requests and I am always hopeful that someone is taking note of my respectful ticket requests and will soon grant my wishes. Anyway, Johnny Depp is my “freebie”. Most of you married or involved people know what I’m talking about. Everyone in a committed relationship is allowed one person, usually a celebrity or someone completely unattainable that their significant other has to turn a blind eye to should the opportunity arise for the other to have an intimate moment with said “freebie”. Ryan changes his “freebie” every couple of years. I think at last inquiry, it was Naomi Watts. I had a near run-in with Johnny in 2005. My friend, Kellie, was in San Diego for work and wanted to take a day trip up to LA. We happened to go on the day of the Charlie And The Chocolate Factory premiere. We also happened to stop by Grauman’s Chinese Theatre about 20 minutes before the movie let out. We didn’t know what premiere was showing so when I asked one of the security guards what was playing and she replied with Charlie And The Chocolate Factory, I gasped and blurted out, “IS JOHNNY HERE!!!!???? ?” I called or texted Ryan to let him know that I may be cashing in my “freebie” card and I think I got a “Uh-huh” back. As it turns out, Johnny had left shortly after the start of the movie. As I was watching Johnny ooze coolness today on Ellen, I thought it’s probably for the best that I couldn’t get tickets. I don’t know that I would have been able to contain myself and at the very least would have embarrassed myself and my family. I may have shouted out “I love you, Johnny!”, hoping to get a nod in my direction, which I would mistake for an invitation to come on stage. I actually wondered how far I would get if I was in the audience and took off running toward the stage. Would I make it? Ellen was named one of the most powerful women in the world, but she isn’t the President (at least not yet) so I don’t think she has any secret service detail, but I’m sure there are guards around. I wondered if they would just kick me out of the show and put me on some kind of naughty list or would I actually get arrested? 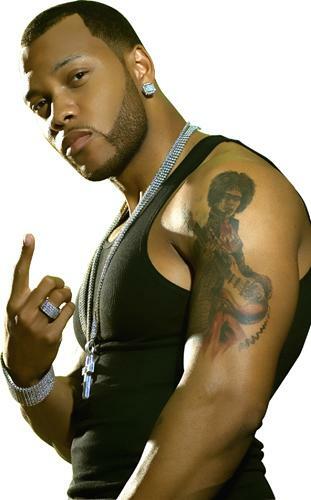 After Johnny’s interview, Flo-Rida performed. He is responsible for singing the first rap song that Kamryn ever sang, Low, so I have a soft spot in my heart for him – oh and because Wild Ones makes me dance whenever I hear it. That and because I am pretty sure that he smells awesome. I don’t know what it is, but I think he leaves a trail of some kind of wonderful aroma wherever he goes. He got up and danced in the audience while he was performing so once again, there was a chance, depending on where my seat was, that I could have done something that I would have made me bow my head in shame. Now that Johnny has been on, I think I can probably safely go to any future taping of Ellen and remain in my seat like I’m supposed to. Unless it’s before the show when they let you go up on stage and dance because I’m totally going to do that! This entry was posted in Miscellaneous Ramblings and tagged Charlie And The Chocolate Factory, Ellen, Ellen DeGeneres, Flo-Rida, Freebie, Johnny Depp, Low, Naomi Watts, Wild Ones by Amy. Bookmark the permalink. Oh come on! Who doesn’t love a good smelling man?